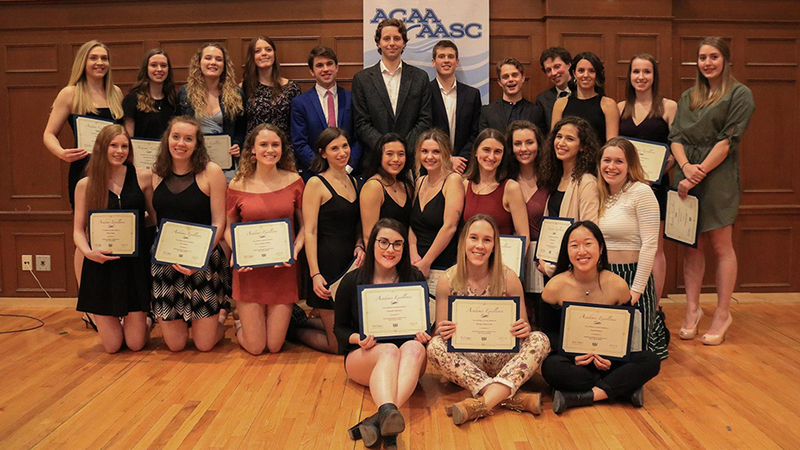 The Blue Devils student athletes celebrated their successes—on the court and in the classroom—at the annual athletic awards night on Saturday, with 19 athletes receiving conference All-star awards and 34 athletes receiving academic excellence awards given to student-athletes with a GPA above 3.7. Each King’s team had both all-stars and honour roll students. It was a perfect coda to a year where, thanks to a generous gift from the Deane Little family, King’s was able to announce the establishment of 56 new scholarships in support of scholar athletes. In his remarks, King’s President William Lahey thanked the Deane Little family and spoke of how these scholarships affirm the importance of Athletics to King’s. 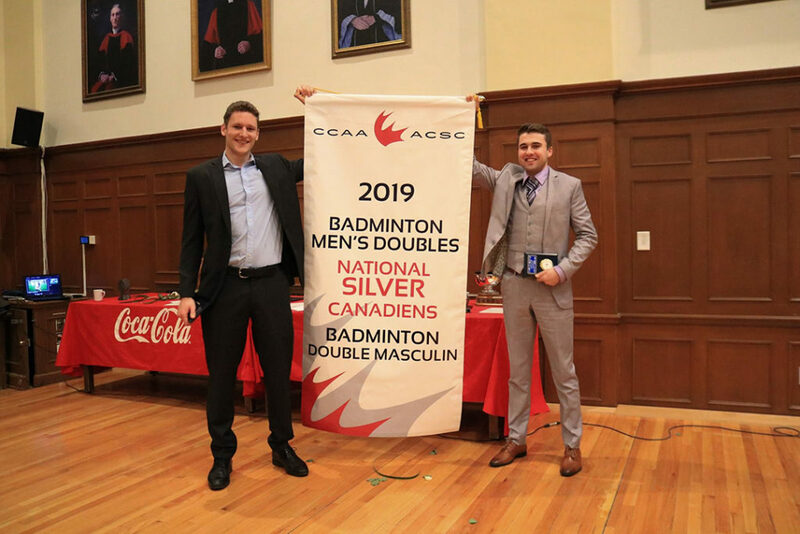 Benn Van Ryn and Bryce Mason, co-MVPs of the Badminton team and winners of King’s first ever national medal. 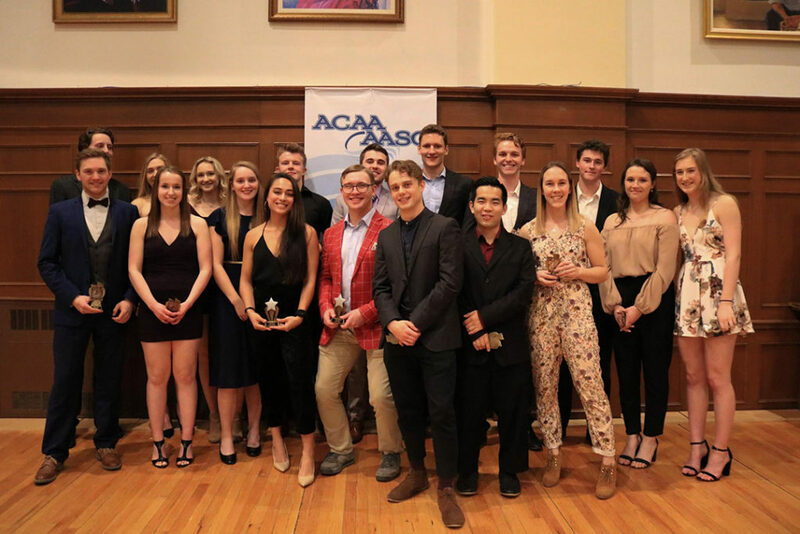 Special recognition was given to the Badminton team, who captured their second consecutive Atlantic Collegiate Athletic Association championship this season, sent three Badminton players to the Canada Games and won King’s its first-ever national medal, a silver for the men’s doubles duo of Benn Van Ryn and Bryce Mason. Before awarding the Norman Grant Award for Outstanding Contribution and Dedication, King’s was honoured to recognize Norman’s mother Barbara Grant, and family friends Linda and Scott Cooke, who were in attendance. 34 King’s athletes received Academic Excellence awards, for achieving honour roll standing, a GPA of at least 3.7. King’s had 19 All-Star selections in 2018/19. 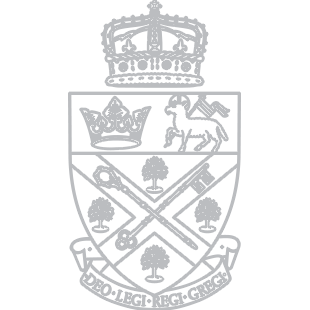 Each team had at least one player selected to their league’s All-Star team.